The Rows of Love Blanket features 3D puff stitch hearts and pretty stripes, and even post stitches - for a ton of texture, and a gorgeous blanket you can make in any size! Exact instructions are given for 7 sizes, as well as all the info you need to make your own custom size! 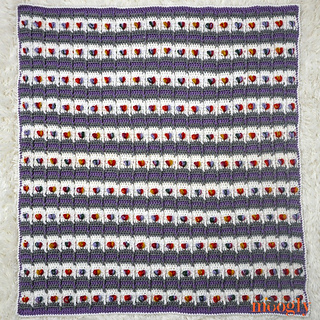 One of the biggest features of the Rows of Love Blanket is the hearts! Made with puff stitches, they have a ton of texture. But if you aren’t a fan of puff stitches, you could easily substitute a pair of popcorn stitches instead! Video tutorial now available - both right and left-handed!